Playgrounds are so much fun! They also provide many great benefits! 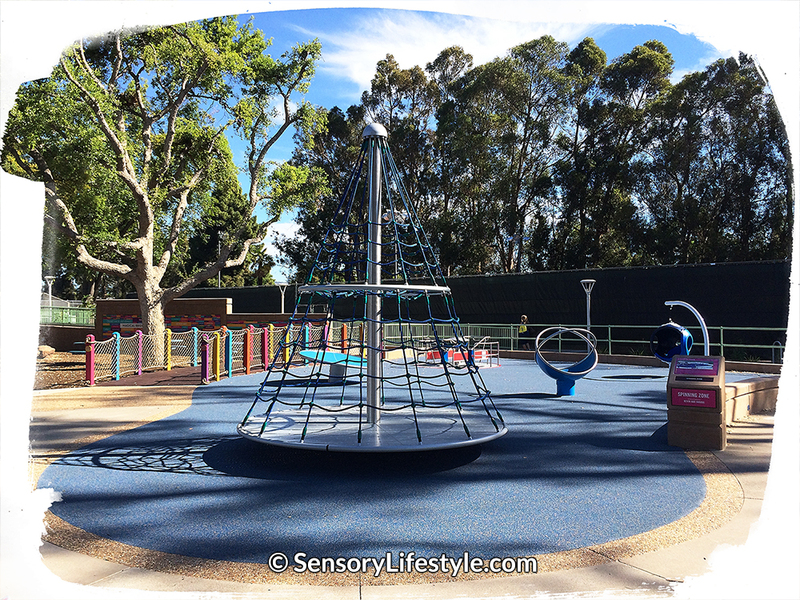 A recent family outing to the new inclusive Magical Bridge playground in Palo Alto (CA) inspired me to write a post about playgrounds. As I go through describing the many fun things that you can do in the Magical Bridge playground, I will be writing about the benefits that can be gained from playing on any playground in your local neighborhood. Playing on a playground can bring on many rewards related to social participation, increased self confidence and benefit your child’s growth through new sensory experiences. From an occupational therapy perspective it doesn’t get better than that! I recently wrote an introductory post on exploring the outdoors. It goes into detail about sensory benefits your child can get from playing outdoors. The content below is best understood once you have become familiar with the information outlined in that post. So please read exploring the outdoors first and then come back here. A day after the grand opening of Magical Bridge we went out to play and to see what all the hype was about. Magical Bridge is an inclusive playground. Inclusive playgrounds contain meaningful play experiences for children of all ages and abilities. It was great to see the variety of play structures to meet many different needs and skill levels. This is a unique place and it was wonderful to watch and play alongside kids of all abilities. We had so much fun! Josh (my son) was exploring and playing for hours. He could not get the smile off his face and he would run, climb, swing and imitate other kids. It was so much fun to see him watch older kids as they would climb up the tall grassy hill and then slide down. He quickly copied them and had a blast sliding down himself. magical playhouse, just to name a few. Each zone has many different pieces of equipment that provide some kind of a sensory experience. There are many ways that children can play on playgrounds. I would like to give you a tip that your child might enjoy. This strategy is particularly beneficial for children who struggle with coming up with new ways to play and tend to play in the same way. It is also great for the children who get easily disregulated. Lets have a look at how some kids like to play when on a playground. Johnny for example is a young boy who loves spinning. The Magical Bridge has many spinning structures. As soon as Johnny found the spinning zone he gravitated to the dish spinner. He quickly jumped on and started spinning around. Around and around and around and around. When he jumped off he quickly rushed over to the next structure and then the next. There was no real purpose to his spinning. For a child who has sensory challenges this can dysregulate them. When an activity has a purpose it increases regulation. Being regulated helps a child to stay calm, organized and overall feeling good. One way to give an activity a purpose and increase regulation when playing on the playground is through a use of a theme. Themes tend to increase attention and engagement to the activities. Using themes allows children to “enter” different worlds. During your playground visit your child can go on a safari adventure. Or they may go diving down into the ocean to explore the underwater worlds. They can even become superheroes or fairies. Whatever the theme, the excitement is reflected in your children’s eyes and their affect. Here are some of my favorite play structures at Magical Bridge Playground and how themes can be used. Pretend game for the Swings in the Swinging & Swaying Zone: You can have a zoo adventure and pretend to be a monkey on a swing. Pretend Game for any of the spinners in the Spinner Zone: They can be boats, spaceships, cars, rafts, pirate ships. It can be a transformation machine. Let your imagination run wild! Using the roller slide in the Slide Zone: Imagine that you have traveled on an underwater adventure and the slide is slippery seaweed that you have to slide down. Maybe it’s a mountain that you are sliding down. It can be a tutsy roller in the Candy World or a secret entry to the pyramid. Climbing net in the Slide Zone: Your child can pretend it’s the great wall of China, or a tree, or the side of a cliff that they are climbing as a pirate. Laser Harp in the Music Zone: This can act an entry to a magical world, or a passcode to open pyramids, or a zoo. Music Zone is also a great place to rest and take a break if your child has become over stimulated. You may notice that children come up with themes on their own. Using themes is also a great strategy to attract other children to play. If your child is too young to understand a theme there are other fun things that you can do with them. You can play chase through the different structures or sing songs while swinging. Tot Zone is a fun space in the Magical Bridge playground. You toddler can climb, run, slide or play musical flowers. So give your child a little kick start and let their imagination run wild! Help them see the magical world that they enter when going into a playground. They can be anyone and do anything and every play structure is a fun adventure. Magical Bridge Playground provides a myriad of levels of challenges for kids. The reward children experience through this sort of play is that of achievement. They feel good about themselves as they experience success. The magic ingredient that motivates children is … other children! Without realizing it, children who are navigating through activities that represent their strengths act as role models for their peers who might see the same activities as challenging. When I visited the Magical Bridge Playground I spotted many examples of just that. There were two girls playing. They ran towards the climbing net. One jumped up and started climbing all the way to the top. The second girl was hesitant. After a little while she pulled herself up. Then she got nervous and stopped from going further up. By this time her friend was almost at the top. She turned around and said to her friend ‘Come on! There is a really cool slide here! Come on… it’s easy!’ I immediately saw a new level of motivation on the second girls face. Slowly but surely she made it to the top! Next time you visit a playground, stop and look around. You might notice all the skills that kids are gaining through the motivation of their friends. Social participation is one of the most exciting benefits children get from playing together. Friendships can be made and social skills practiced. Magical Bridge Playground offers vast activities that encourage 2+ participation. These activities are now becoming more popular. For example in the spinning zone you have the net spinner, dish spinner or the carousel. All need a 2nd child to engage its utility. It forces the children to have increased awareness of their peers. This may at first need to be initiated by the parents. It is rewarding to watch your children be happy, have a good time, learn new skills and experience meaningful synergy. What could be more fun than having fun? A bonus! an important one – Experiencing sensory activities that help your child’s growth and development. 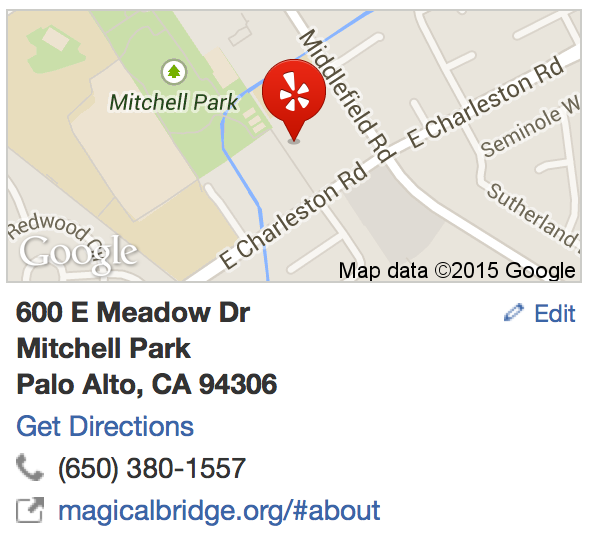 Let me know in the comments below what your experience was like at the Magical Bridge in Palo Alto (CA).